Finding us has never been so easy! Addresses are not always clearly marked on Google Maps or GPS devices. 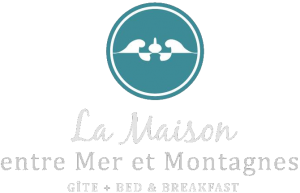 That’s why we recommend you do not type in our address, but, instead, « La Maison entre Mer et Montagnes ». This will lead you exactly to our place. We are located 50 metres away from the bridge across the Cap-Chat River, to the west. If you are coming from Matane, do not cross the bridge. We are just before the bridge, to your right, at the bottom of the hill. If you are coming from Ste-Anne-des-Monts, go across the bridge. Do not turn left on des Fonds Street, but, rather, right past it, into the first driveway, on Road 132.